Our fabulous eight two story buildings are located next to mid-town Memphis only one mile from Elvis’s Graceland! 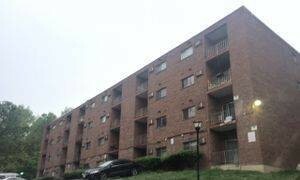 This property consist of 80 units, 5 buildings with 16 units in each building. The parking lot is paved and we added an additional new security fence to enclose the property. we also provide 24/ 7 cameras system and security patrol that keeps all of residents happy and safe. we also added a new playground in the back, all our properties pride themselves with neighborhood watch created with association in Memphis PD. Accepting applications now for more info you can reach Pat Simmons our property manager. We are currently undergoing renovation of the vacant 24 units and also accepting applications.